Environment Canada is calling for very hot and humid weather to continue into this weekend and early next week. There is a 40-50% chance of precipitation in southern Ontario for tomorrow, with a greater chance of showers on Monday. The UV index is very high so please take care out there and wear sunscreen, a hat and drink lots of hydrating fluids. Plant Phenology indicators this week. 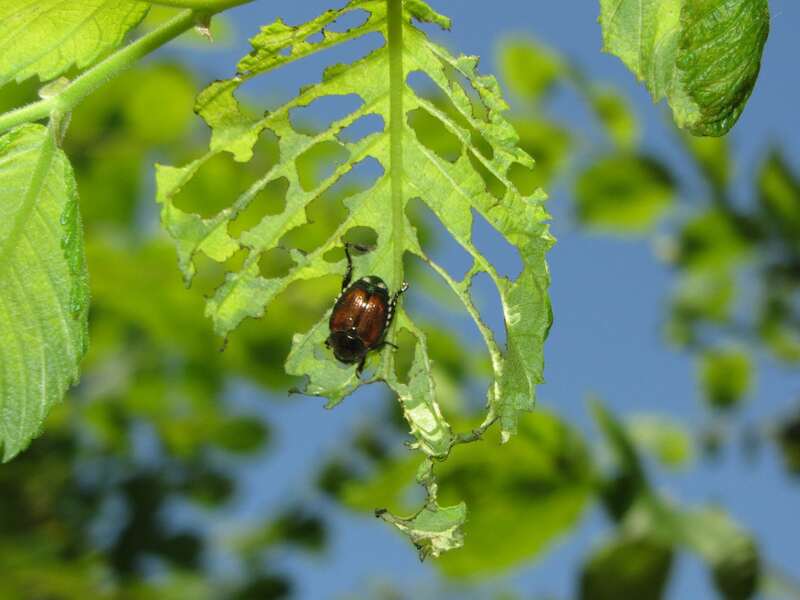 Nursery-Landscape Insect Pest ID: Dave Cheung’s Common Pests of Nursery-Landscape database to help ID your problem pests. Check it out !!! PLEASE NOTE: The Following Pesticide Recommendations are meant for Exception Uses (e.g. agriculture) under the Cosmetic Pesticide Ban unless the active ingredient is listed under Class 11 pesticides in Ontario Regulation 63/09, effective April 22, 2009. Gymnosporangium rusts (e.g. 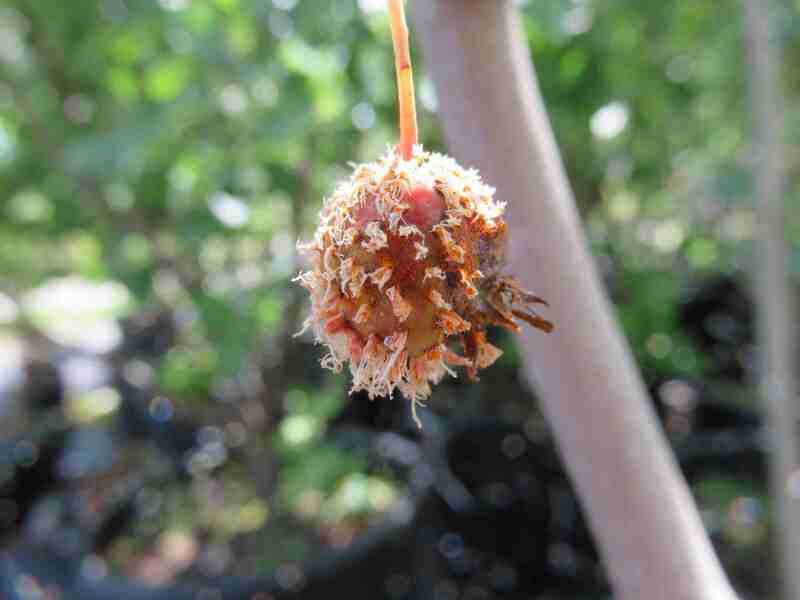 cedar-apple rust, cedar-hawthorn rust, cedar-quince rust) are sporulating on Rosaceous hosts such as Amelanchier, Crataegus, Malus, at this time. These sporulating structures can be found on fruit and leaves and will be sending spores to the Juniperus hosts to cause infection and formation of tiny galls. This photo captures fruiting structures on Amelanchier berries. Where necessary, spray protectant fungicides to protect Juniper hosts (e.g. Nova). 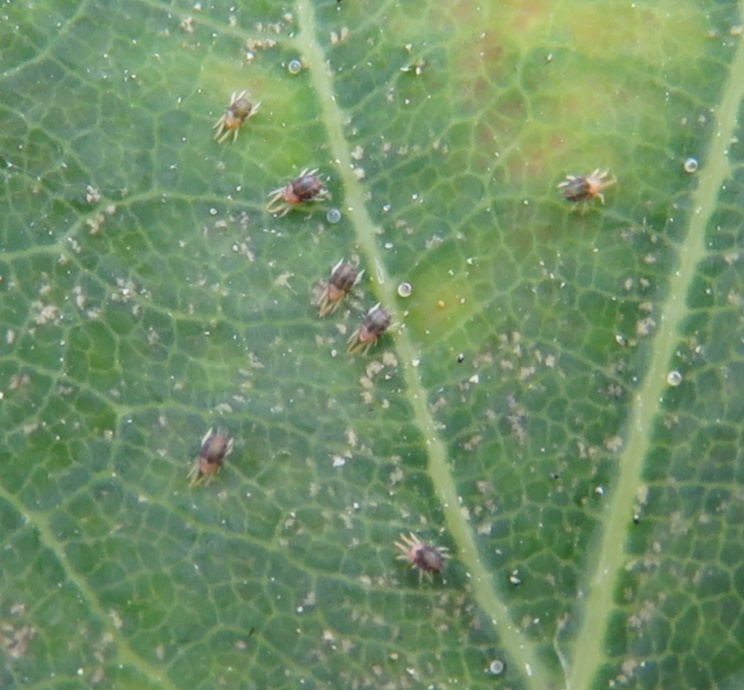 Euonymus scale has produced a SECOND generation of crawlers at this time and nymphs are settling. Look for tiny, orange crawlers or brown nymphs in among the adult scale populations on leaves and stems. Crawlers are very susceptible to applications of contact insecticides, even insecticidal soap and the summer rate of dormant oil. Watch temperatures as some pesticides can burn foliage when its hot and humid out. Kontos is one of our newest insecticides registered for scale insects in the nursery. It can also be used as a drench. 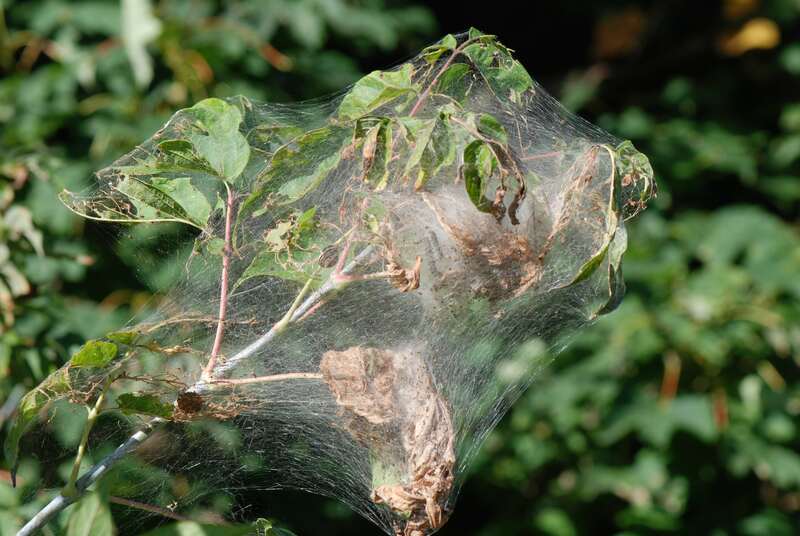 Are you seeing webbing around the ends of branches on deciduous trees such as ash, birch and cherry? Look inside the webbing and look for yellow, fuzzy caterpillars. 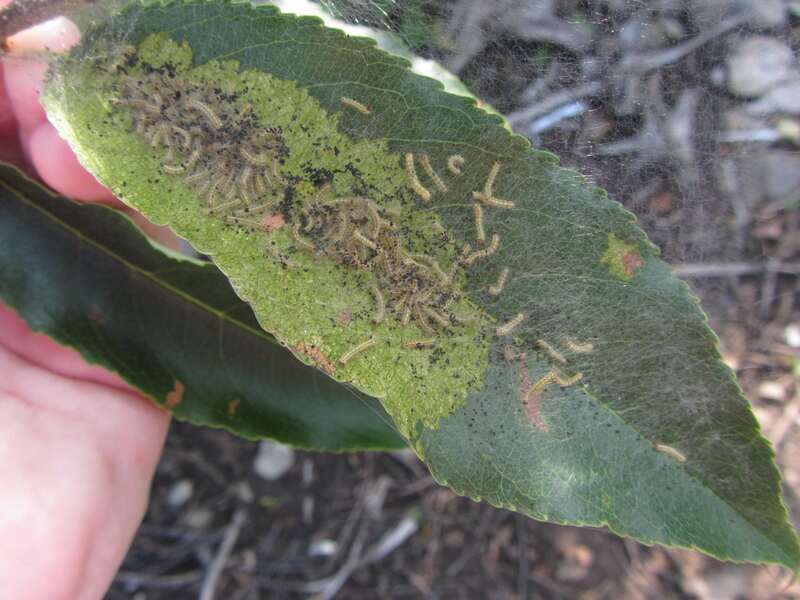 These are fall webworm caterpillars and they usually start to show up on the ends of branches this time of year. Prune out nests and destroy them to prevent future colonies from infesting your trees. Pole loppers are an awesome tool for managing fall webworm caterpillar nests! Spraying is not necessary or necessarily effective unless there are high populations of nests. Have white grubs been an issue in your nursery? Preventative applications of Acelepryn (chlorantraniliprole) and Intercept (imidacloprid) are registered for white grubs (nursery production) and the application period is in June and July (during the adult flight period). [Beneficial nematode applications for white grubs (e.g. European chafer) are not effective at this time but will be in early-mid August with regular irrigaiton]. 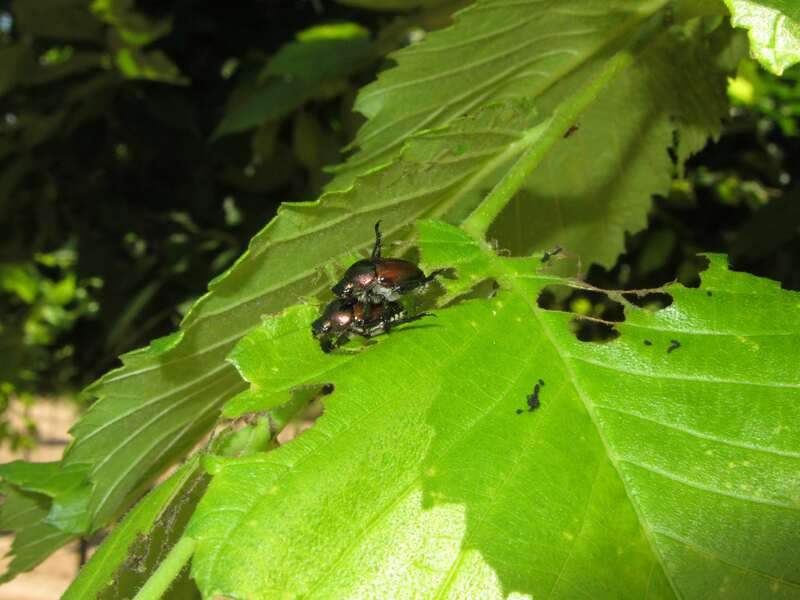 Japanese beetle adults are flying and feeding on leaves of woody plants (Syringa, Tilia, Ulmus, Prunus, Rosa). Look for metallic, coppery-green beetles with white tufts of hairs along the edge of their abdomens. Adulticide insecticides for JB in the nursery include Sevin XLR and Imidan. Pheromone traps for JB are extremely good at attracting the adults. Always place traps far AWAY (I mean away) from susceptible host trees and shrubs (e.g. Rosa, Prunus, Tilia, Syringa, Ulmus etc.). 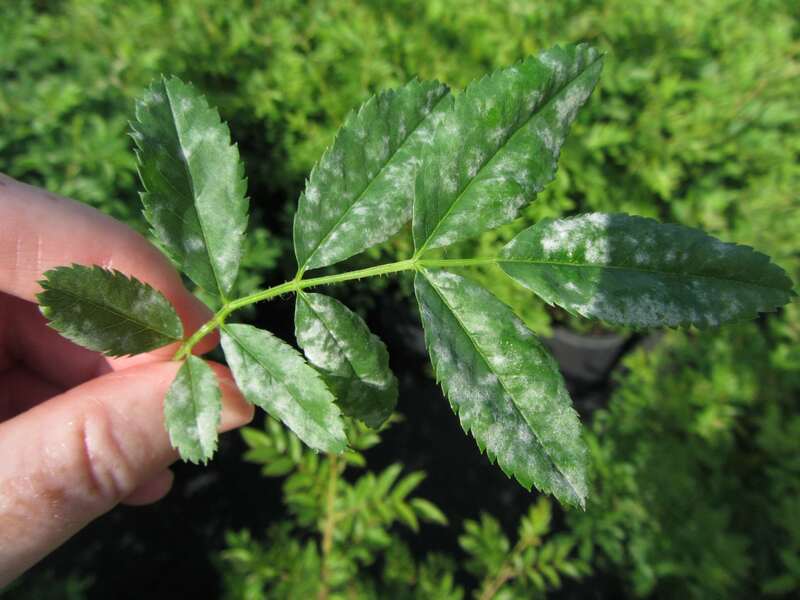 We have seen lots of powdery mildew on deciduous flowering shrubs (Amelanchier, Rosa, Physocarpus) and herbaceous perennials. Monitor for white, powdery residue on the tops and bottoms of leaves. 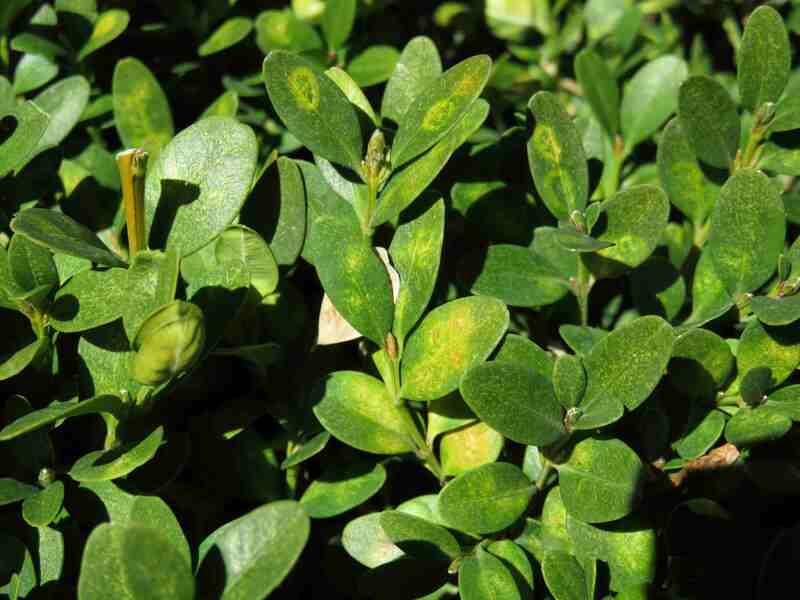 Protect new foliage with fungicide applications [e.g. Switch, Milstop, Regalia (biofungicide), Tivano] but where the disease pressure is moderate to high, fungicides are not going to be very effective as they are not curative. 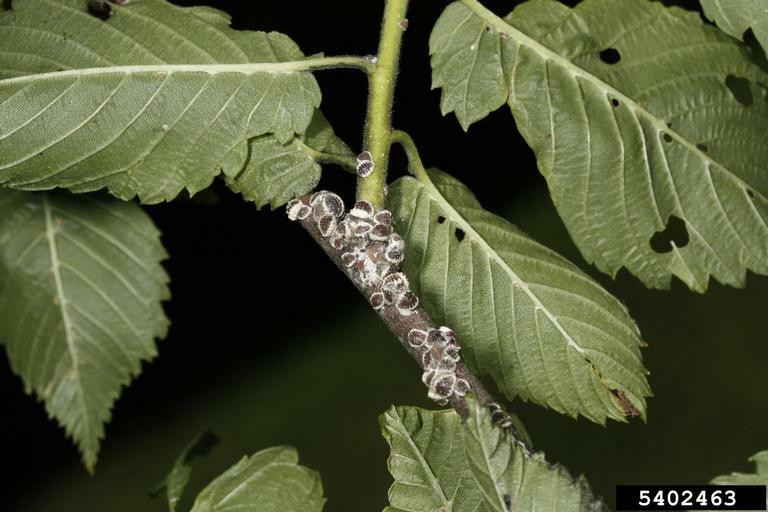 European elm scale (Gossyparia spuria) crawlers have hatched and can the tiny bright yellow nymphs can be found on new twigs of elm (e.g. ). Adult females are 2 mm long (tiny), oval, brown with a whitish fringe around their body. 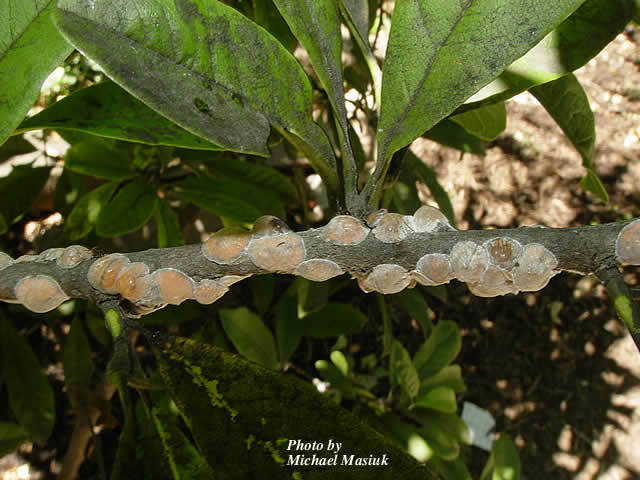 This can be an injurious pest, we often see copious amounts of sooty mold and twig dieback. 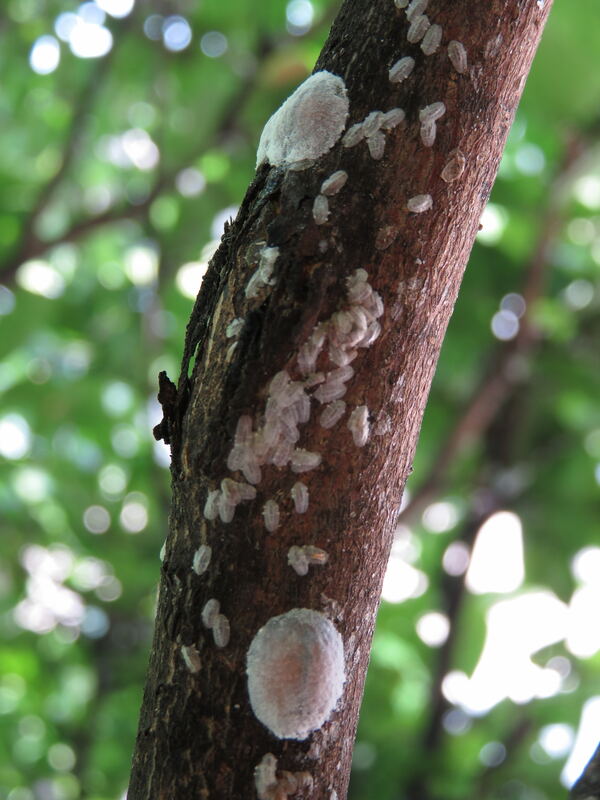 I’ve been scrubbing this scale off my Camperdown Elm (Ulmus pumilla) for over a year now….and I think I’m winning. 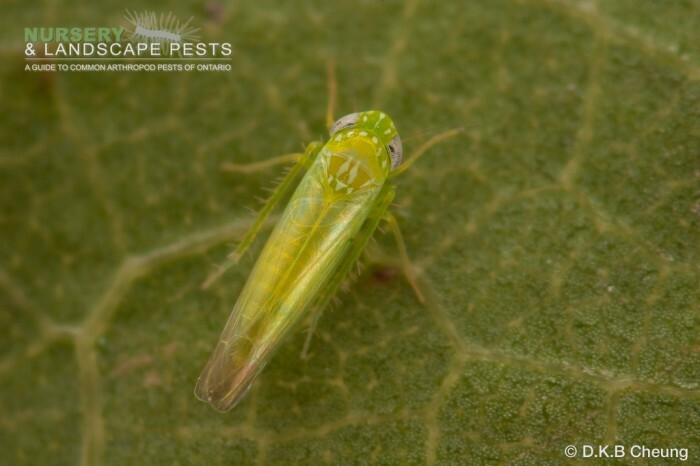 This pest is also very vulnerable to dormant oil applications in late fall/early spring when no leaves are present (since the overwintering nymphs migrate to the bark crevices at the end of the growing season). Magnolia scale is in its heaviest feeding period, with lots of honeydew and honeydew loving insects swarming around scale colonies at this time. In the landscape, scrubbing scale nymphs off of twigs seems to be an effective emergency service solution to high traffic areas around infested magnolias in the landscape. Unfortunately, we are seeing “double crop” of scale. Smaller, less developed magnolia scale nymphs in the same colony as the big ones. And those smaller ones seem to be about 3 weeks behind in their development. Which means you will have to go back 3 weeks later to repeat any treatment you make. Injectable insecticides may be used to protect ash trees from new infestations of Emerald Ash Borer (Agrilus planipennis). Trees must be actively transpiring in order to maximize insecticide uptake into the cambium. Registered injectable insecticide products include: AceCap 97, Confidor 200 SL, Ima-Jet and Tree-Azin. 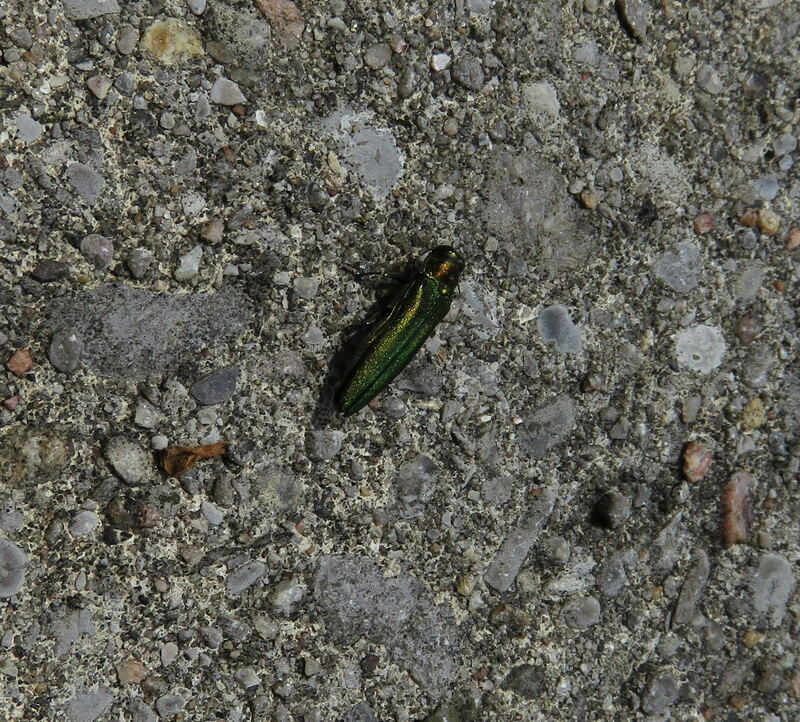 Check out the Management Strategy for Emerald Ash Borer and Bronze Birch Borer at: http://www.omafra.gov.on.ca/english/crops/insects/eab-bbb-manage.htm. 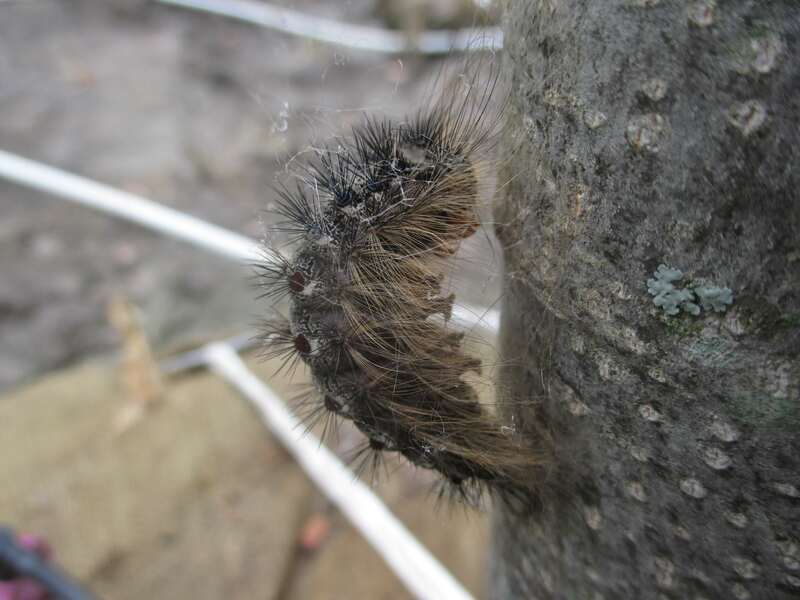 Gypsy moth larvae are pupating and no longer susceptible to insecticides. Did you notice that there wasn’t very many caterpillars around this spring? 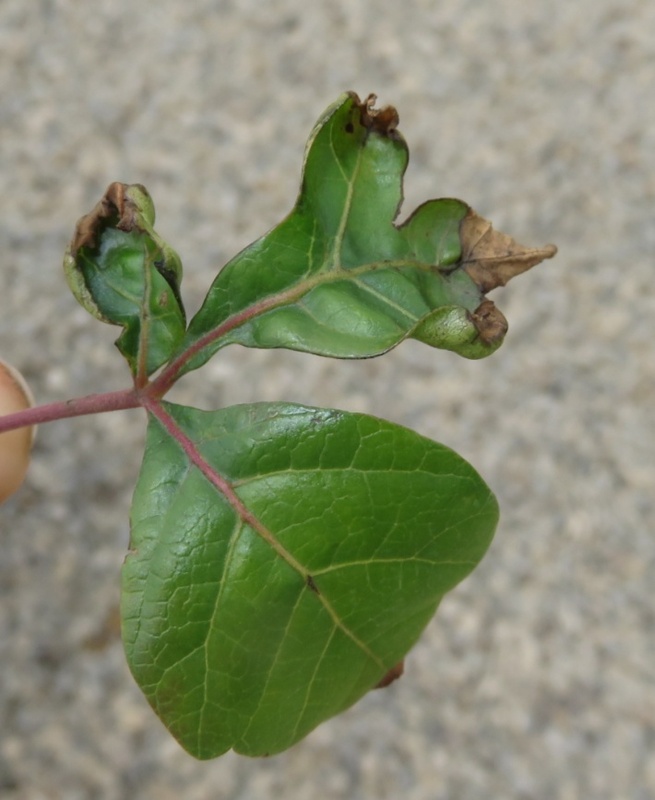 Two-spotted spider mites (TSSM) are feeding on several types of deciduous woody (Viburnum and Spiraea in container production) and herbaceous perennials. 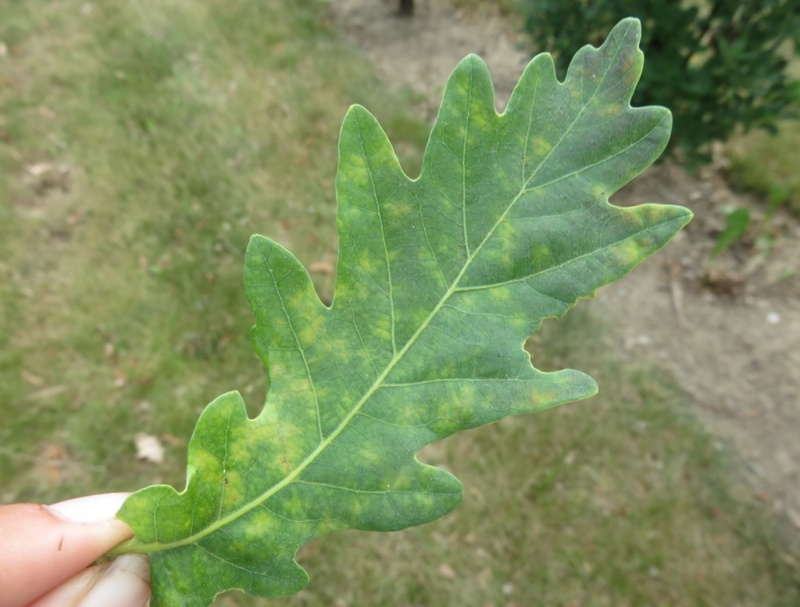 Look for chlorotic leaves with stippling, use your hand lens to see tiny, clear bodied mites with dark regions (may be faint black) on their backs. These mites are small but the damage is significant so catch them early. 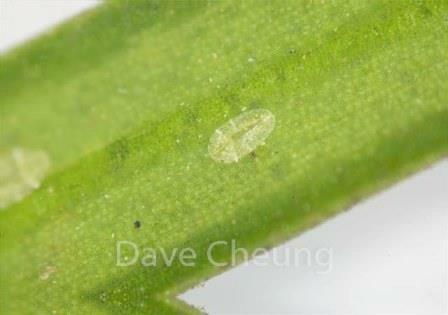 Miticides registered for this mite in the greenhouse include: DynoMite, Vendex, Kanemite, Floramite, Avid. Apollo is registered in outdoor nursery crops to knock down the egg stage and newly hatched nymphs. In the greenhouse, biocontrol agents should be brought in to coincide with the first sign of TSSM. 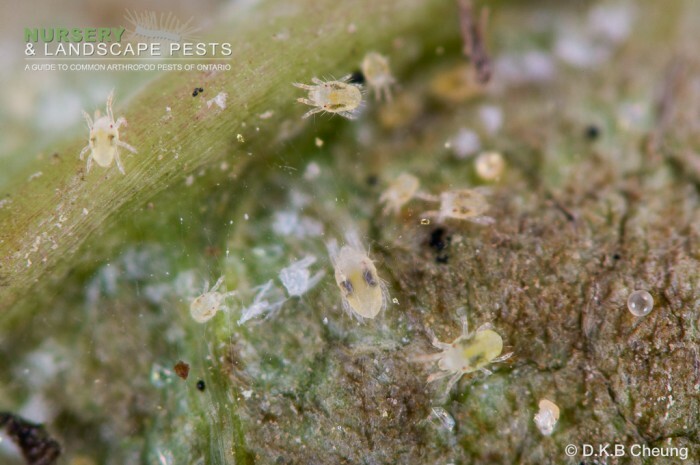 Phytoseiulus persimilis is a predatory mite that feeds on TSSM when temperatures are below 26oC and it is a good choice when TSSM populations are low-moderate. Amblyseius californicus is a predatory mite that can be brought in ahead of TSSM appearance (because it can find other sources of food). Stethorus punctillium is a new beetle that is a good predator of TSSM. Taxus or Fletcher Scale crawlers (left) have settled on needles and twigs and are feeding (right). As they become older, they are more difficult to kill with insecticides. Several contact and systemic insecticides are registered for this pest in the nursery (see NurseryTracker.com). Be careful to rotate pesticides with others belonging to different groups, with different modes of action, to avoid pesticide resistance and increase efficacy. 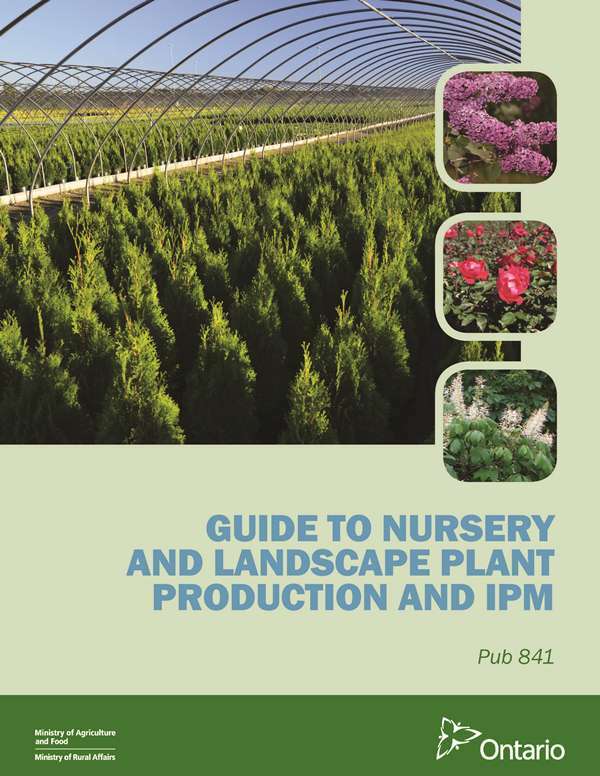 Monitor for black vine weevil ADULTS in the FIELD and LANDSCAPE for Rhododendron, Taxus, Thuja and Euonymus. 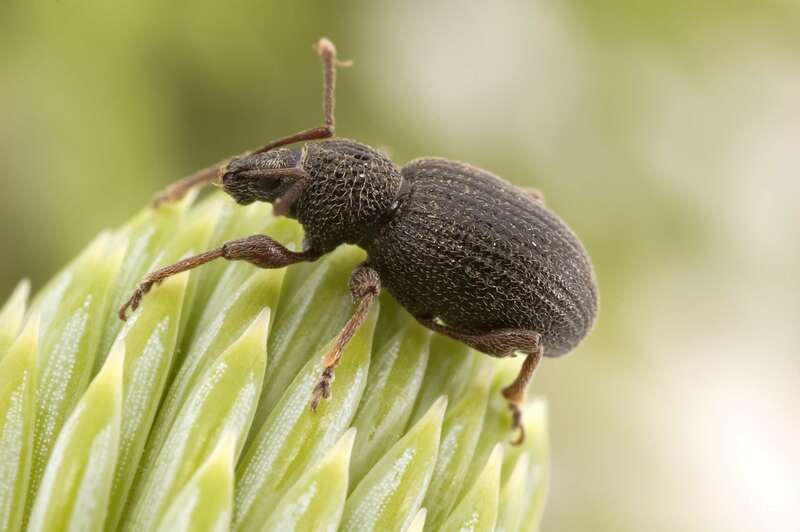 It’s too late for applications of nematodes in the field/landscape.Strawberry root weevil can also be a problem in field production of evergreens, adults have emerged. Signs of strawberry root weevil adults include brown, flagging shoot tips (and small girdling marks at the base of the flagged shoot) on Thuja (eastern white cedar). 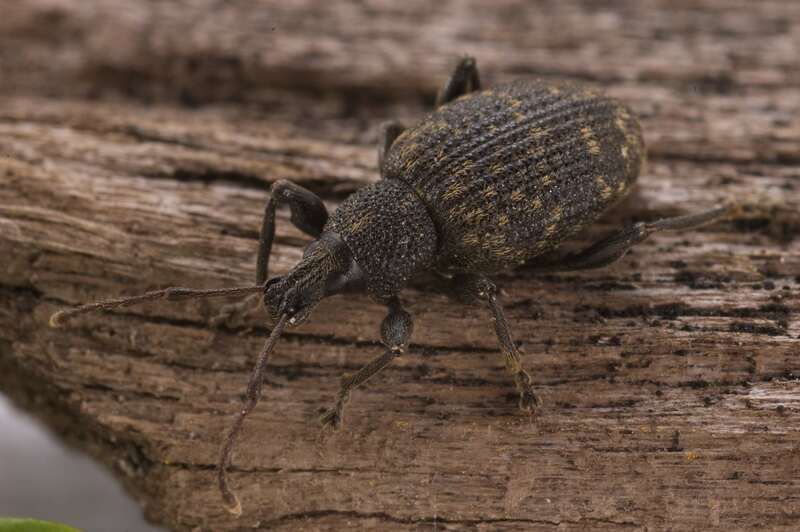 To scout for adult weevils, place a tarp or large piece of card board under the tree, shake branches vigorously and look for brown-black weevils “playing dead”. Insecticides for adult weevils in the nursery include Pounce, Sevin and Thiodan. Remember, adult weevils feed at night. Spray insecticides in late evening to target adults and reduce UV degradation (e.g. Pounce, Scimitar). 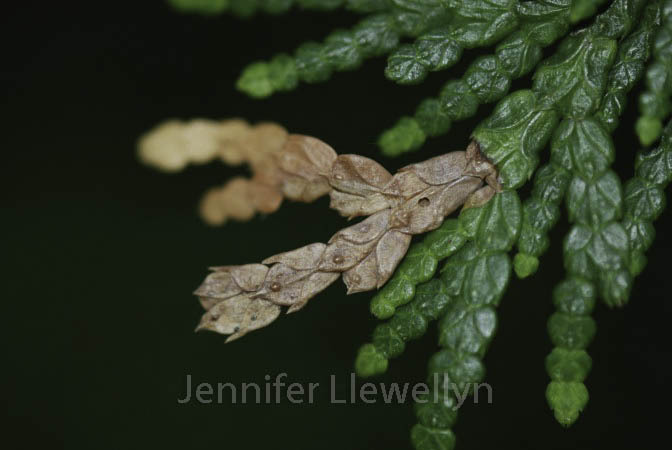 Cedar leaf miner (CLM) next generation larvae are starting to feed on tender new foliage. 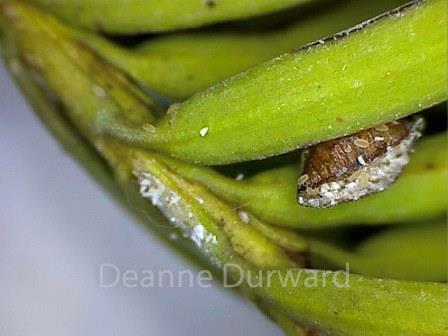 A light sheering of tips in early August should give good knockdown of CLM larvae. Cygon is registered as a foliar application for CLM larvae in early August in the nursery. 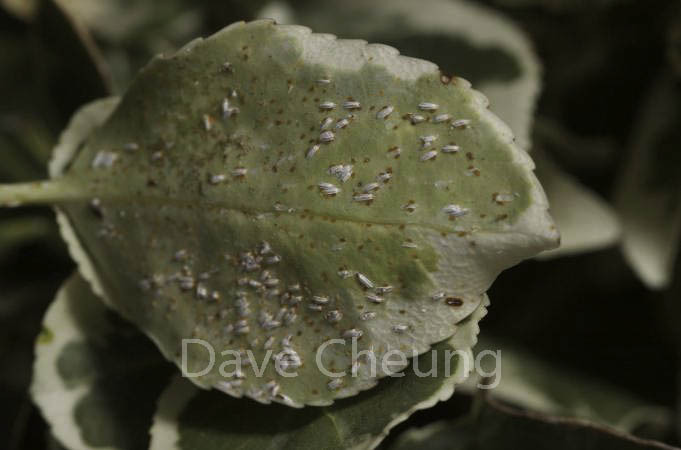 Remember all that boxwood leafminer you were trying to manage this spring in the landscape? Well the next generation of larvae are feeding on this year’s growth NOW, although you can’t see any signs of them yet. So, a sheering of 2016 growth will eliminate many of the lovely, leafy homes they’ve found. They will die of desiccation in those clippings over the next several weeks. Monitor for nymphs and adults of spruce spider mite on conifers with a history of mite damage. They can be found in blocks receiving regular irrigation. 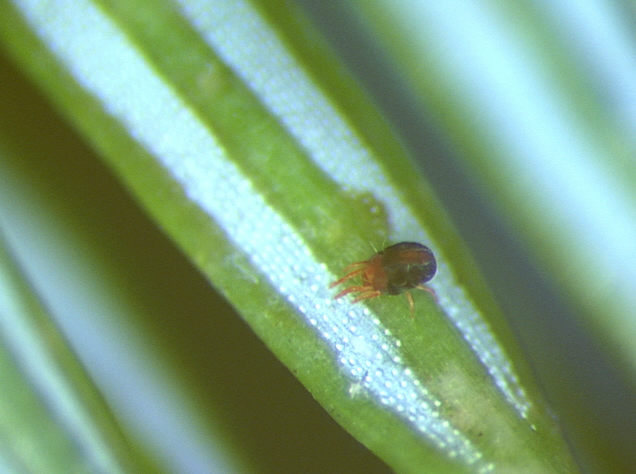 Spruce spider mite nymphs and adults are brown with black backs and found on new foliage this time of year. Click HERE for a short video. Miticides registered for SSM include Floramite and Shuttle. Miticides may be required where pest pressure is moderate to heavy (container grown conifers with overhead or drip irrigation). Populations in field production and in the landscape are usually not very active until the cooler weather returns in September. 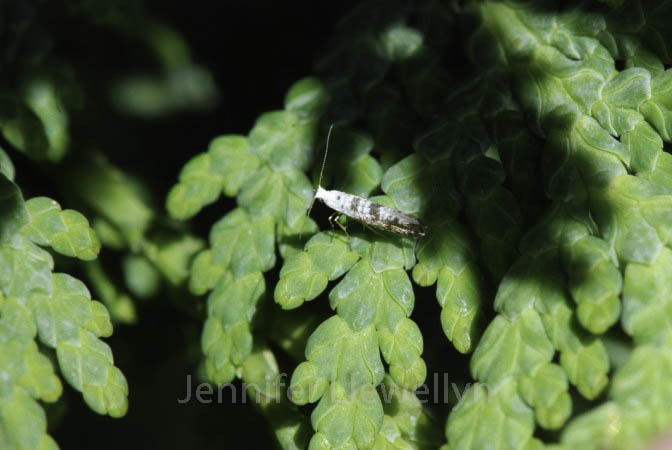 This entry was posted in Weekly Nursery Landscape Report and tagged arboriculture, fall webworm, IPM, Jen Llewellyn, landscape plants, nursery crops. Bookmark the permalink.